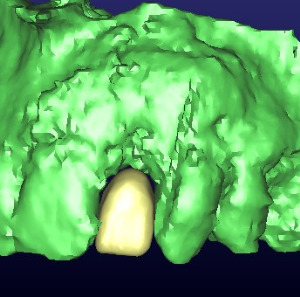 Rapid 3-D protyping is at the cutting edge of manufacturing and medical surgical planning procedures. Ridge contour is important to long term implant aesthetics and maintenance. 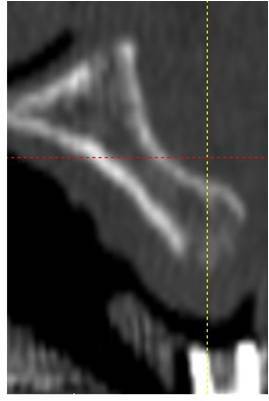 To create a more predictable and ideal ridge contour, Dr. Abe has developed a procedure that takes advantage of computer generated rapid 3-D prototype printing to create rigid barriers to control ridge contour prior to surgery. It allows a ridge augmentation procedure to be done minimally invasively. It does not require the reflection of the full surgical flap that is normally done now. The barrier and graft are placed through a small crestal incision, thereby, minimizing trauma and swelling which results in faster healing and less post-surgical discomfort. With pre-surgical prototyping, planning of implant placement before a ridge augmentation is performed can be done. 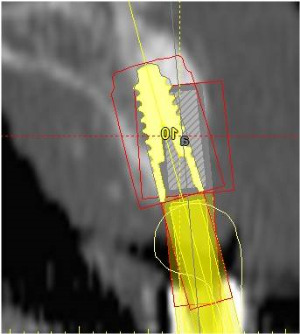 Adapting the ridge augmentation to a preplanned implant position can also be done. 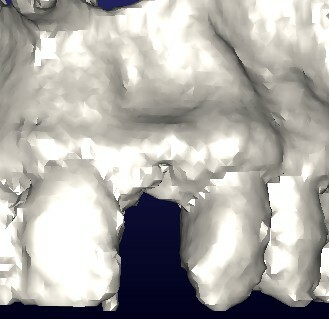 This results in more aesthetic and more ideal restorations that are easier .to maintain.